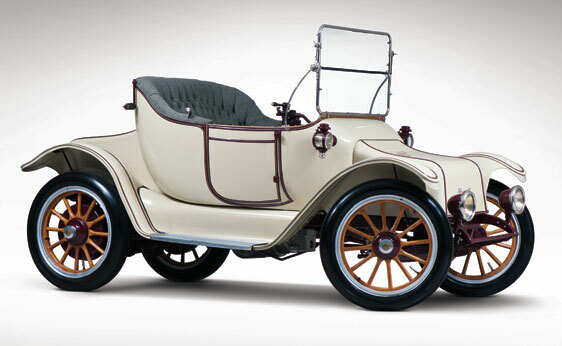 Detroit Electric cars were built (in Detroit, obviously) from 1907 until 1938. There are quite a few of them still around and most of the ones that you see are stodgy, upright “coupes” that look more like an awkwardly tall box on wheels. The Type 46 was available as a roadster and it is far more sporty looking – and rare – than just about anything else built by the company. The 48-volt DC motor makes only 4.3 horsepower, so its sporty looks are somewhat deceiving. What isn’t deceiving is the chain of ownership of this car. It was sold in Pasadena when new – for $2,400. Years later it became part of the Harrah Collection. After that it was acquired by the Imperial Palace Collection and now is being sold from the collection of John O’Quinn. Some big names owned this car. This is thought to be one of three Model 46 Roadsters in existence. One still resides in the Harrah Collection and the other remains part of the Rockefeller family, where it has been since new. This makes this the only available Model 46 Roadster you will find. It is estimated to sell for between $75,000-$125,000. For more information, click here. And for the rest of the RM lineup at St. John’s, click here. This entry was posted in Uncategorized and tagged 1914, auctions, cape top, cars, classic, classic cars, detroit electric, electric, electric cars, model 46, rm auctions, roadster by classiccarweekly. Bookmark the permalink.